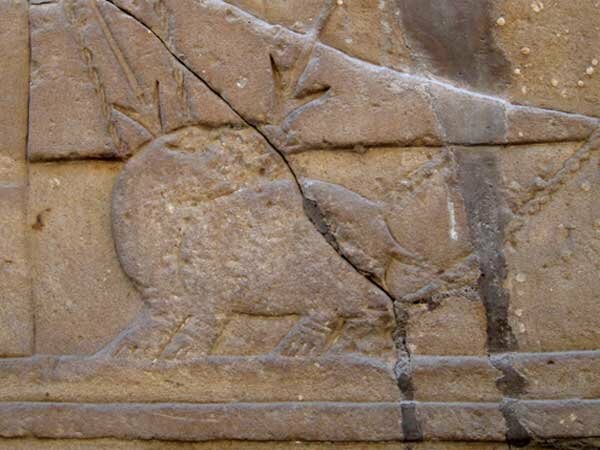 Egypt and Art > Tour Map of Egypt > Tour Edfu Directory > The Battle of Horus and Seth. 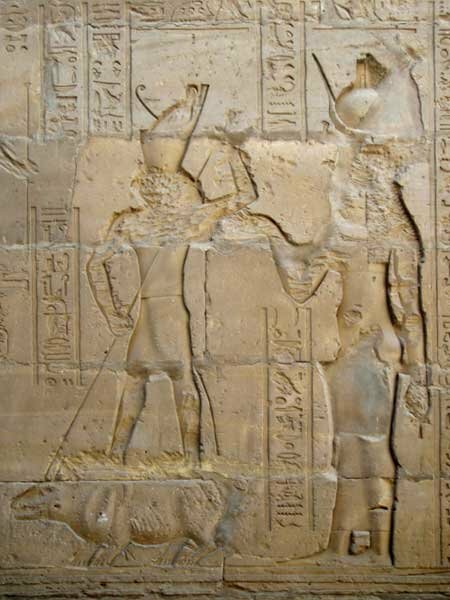 The battle of Horus and Seth is one of Egypt’s oldest and most important myths. Since this temple is dedicated to the hero of this myth,Horus, it is no surprise that we find the story carved into the walls of the temple. Here we seeHorus the Falcon god harpooning his evil uncleSeth who is often shown as a hippopotamus or sometimes as a black pig. Although Horus is victorious on the walls of his temple, it is said that this battle will rage till the end of time.